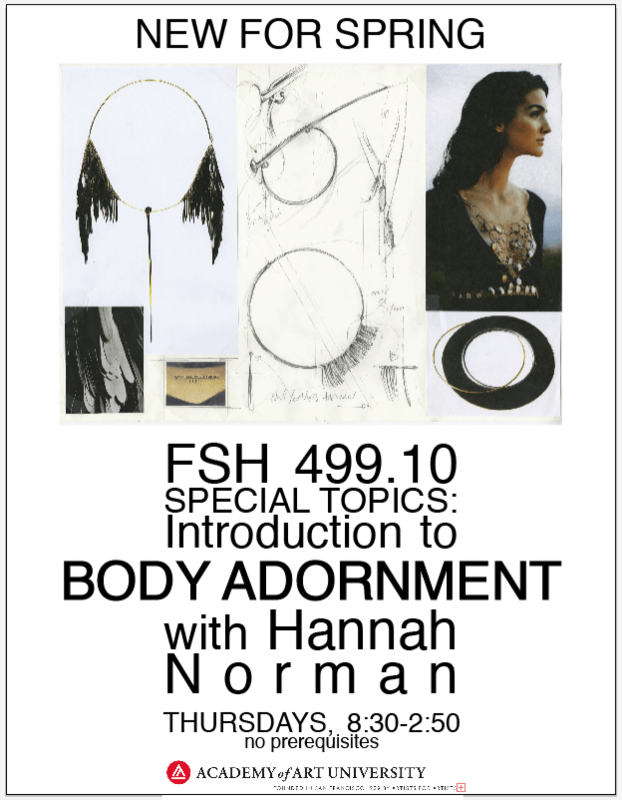 Starting next semester, our new instructor, Hannah Norman will be teaching the ins and outs of making body adornment in a new 499 Special Topics course. Make sure you sign up before it fills up! Previous Do you want to be a Betty?